September is a great time of year! The weather is starting to get a little more manageable, and Fall is on the horizon! Wanna know another great thing about September? 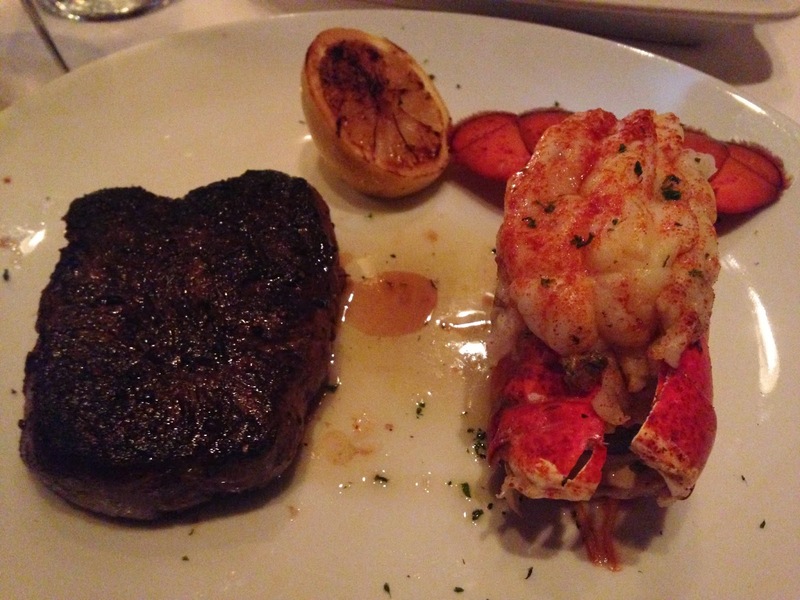 The return of Fleming’s Prime Steakhouse & Wine Bar Filet & Lobster pairing! From now till September 30, guests can enjoy this limited time three-course prix fixe menu for $44.95 at all Fleming’s locations. This culinary delight is now available at all Fleming’s locations for the month of September. This is an unbelievable deal that my husband and I got to try first hand at their location in Winter Park. Everything was so amazing, I am not sure where I want to start. 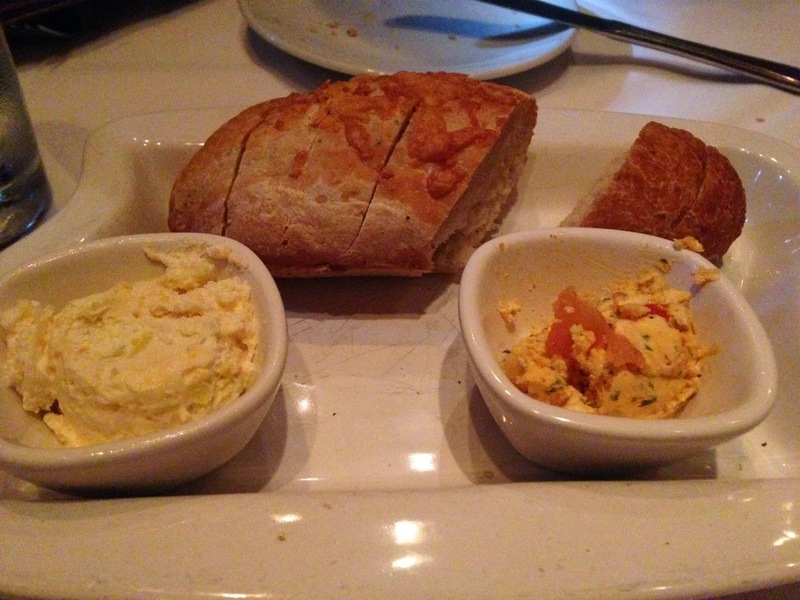 This was our first time here, so I am glad we got to try a little of this and that. Our server Blanca, was amazing and friendly and we had a chance to talk to Rebecca the managing partner as well as a visit from the sous chef! They had a huge by the glass selection! 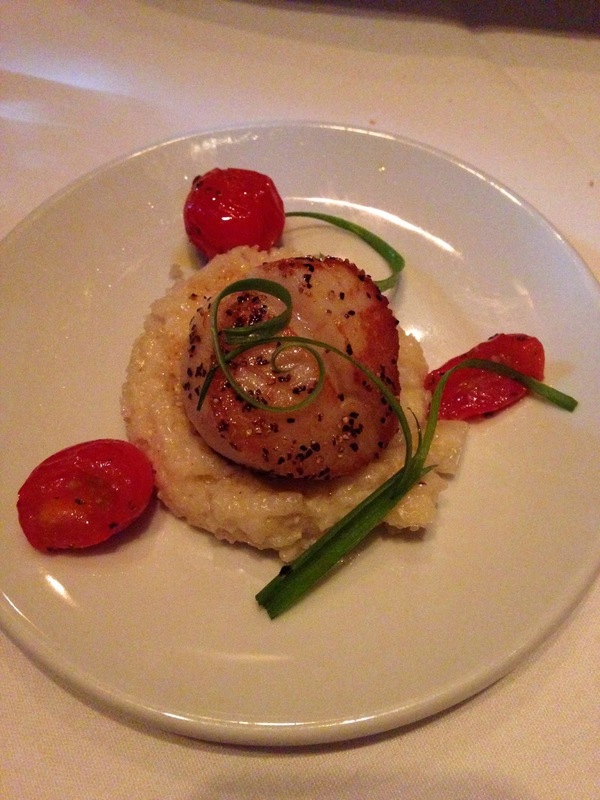 We began the experience with a Pan-Seared Scallop over goat cheese polenta, it was out of control! 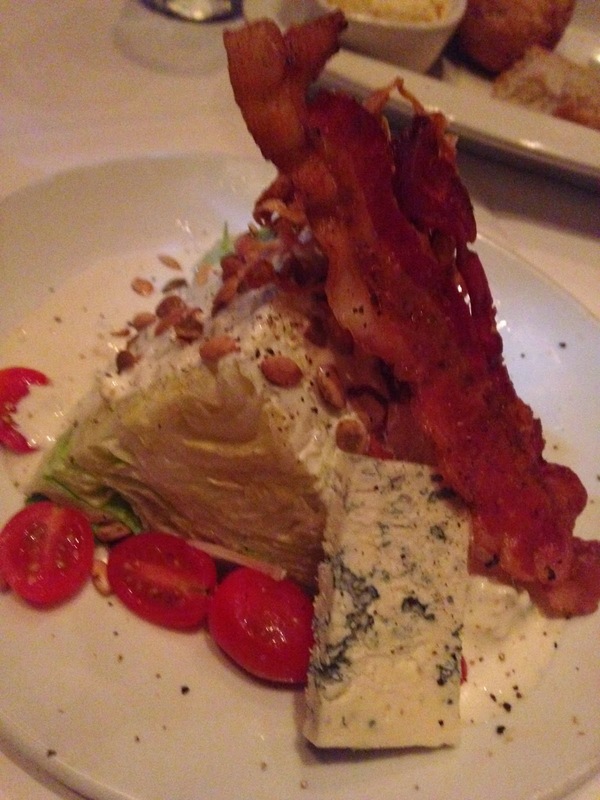 Next up was their New Wedge salad with crisp iceberg lettuce, grape tomatoes, red onions and crumbled blue cheese and bacon, look how big that piece of bacon was! 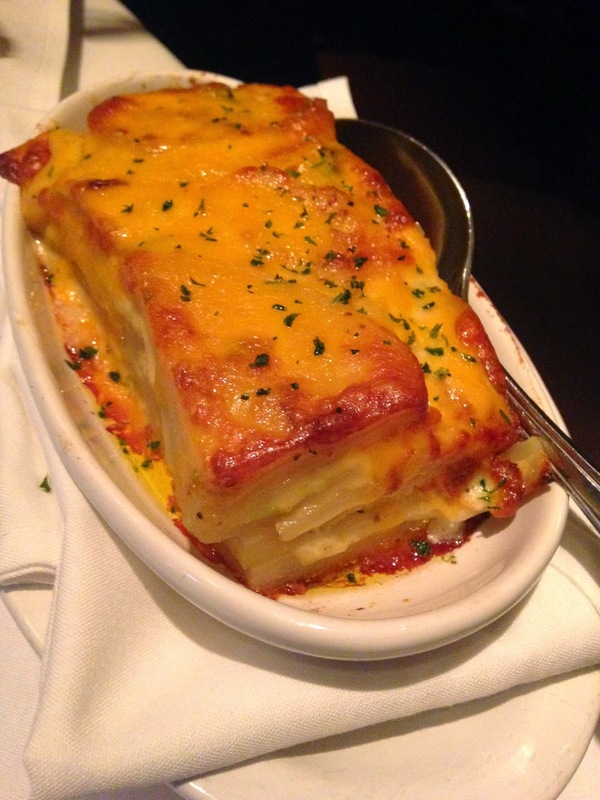 This culinary delicacy continues with a generous 8-oz. 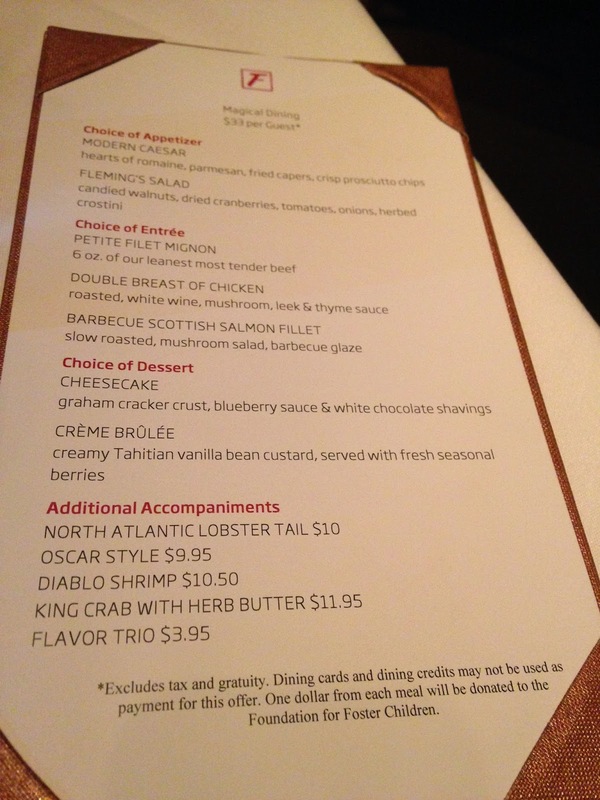 Filet Mignon paired with an 8oz, broiled lobster tail served with drawn butter. The Filet was so tender, you could have cut it with a butter knife and it was cooked perfectly (medium rare for me, of course!). 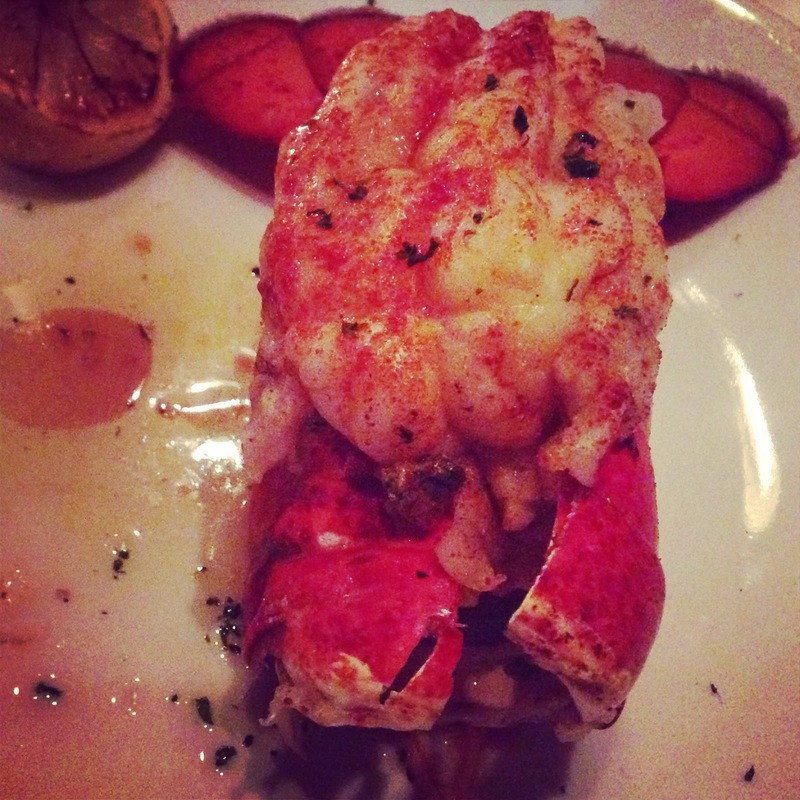 The lobster was so yummy, too! Upon Blanca's suggestion, we chose the Fleming's Potatoes, their house specialty: potatoes with cream, jalapenos and sour cream. I. Die. At this part of the nirvana, I can barely move! 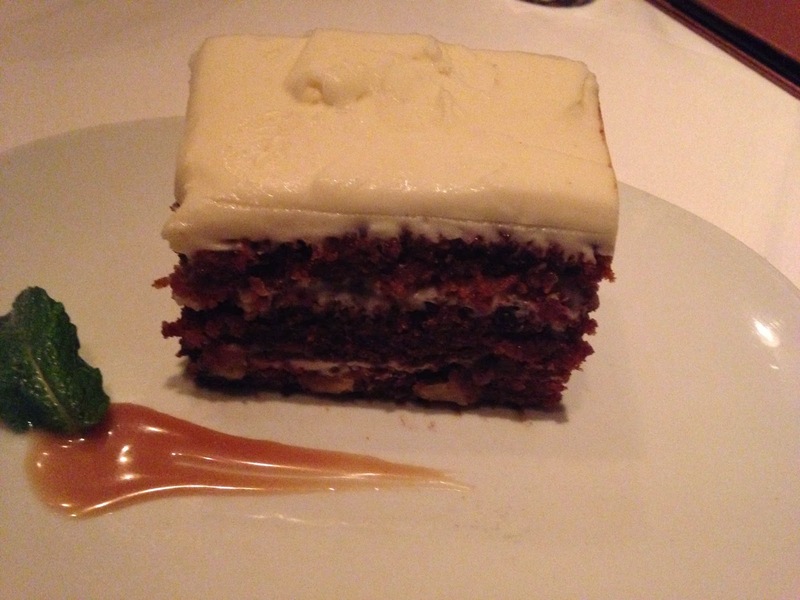 Rebecca came over and started telling us about how we just MUST save room for their Carrot Cake. It is a chef speciality and he is very proud of it. I may or may not have eaten this for three days, savoring every bite. To get this special limited offer, guests who reserve online or inquire about the offer at the restaurant are invited to enjoy this three-course prix fixe menu for $44.95 at Fleming’s Prime Steakhouse & Wine Bar - All locations from now till September 30. Nationally acclaimed Fleming’s Prime Steakhouse & Wine Bar offers the best in steakhouse dining – Prime meats and chops, fresh fish and poultry, generous salads and side orders — with a unique wine list known as the Fleming’s 100®, which features more than 100 wines served by the glass. In addition, the Fleming’s WiNEPAD™, winner of the 2013 Hospitality Technology Breakthrough Award, is a proprietary, custom web-based application on an iPad that helps Guests easily navigate the restaurant’s extensive wine list. Fleming’s was launched in Newport Beach, California, in 1998 by successful restaurant industry veterans Paul Fleming and Bill Allen. Today, there are 66 restaurants nationwide, including the latest additions recently opened in Palo Alto and Las Vegas. 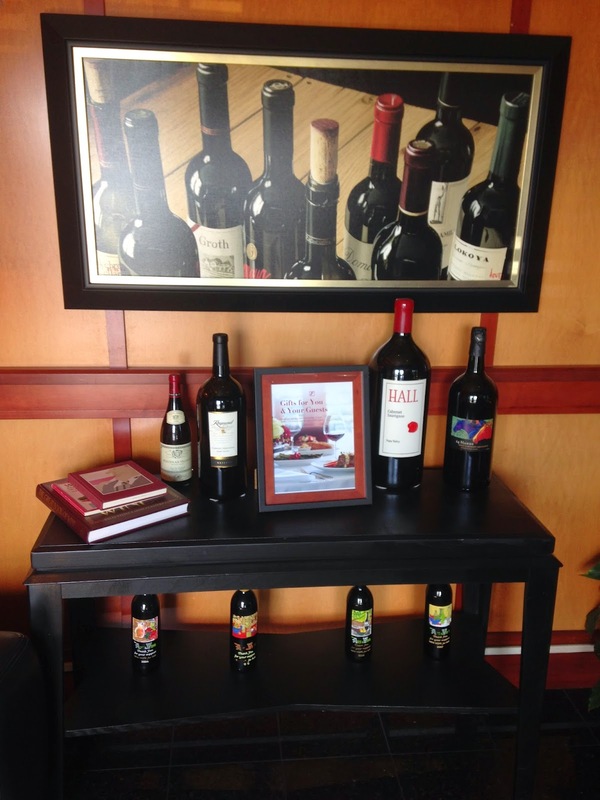 Fleming’s is the recipient of numerous prestigious awards, including Wine Enthusiast’s annual Award of Distinction and Wine Spectator’s annual Award of Excellence. 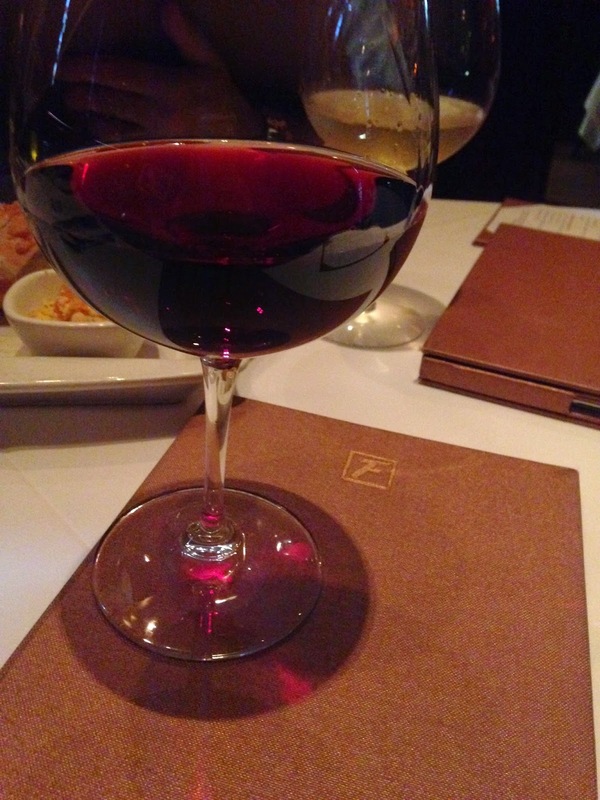 For more information about Fleming’s Prime Steakhouse & Wine Bar and the Fleming’s 100®, please visit www.flemingssteakhouse.com.